After Years of Research, a New Memory Technology Emerges That Combines the Best Attributes of Dram and Nand, Promising to "Completely Evolve How It's Used in Computing"
Memory and storage technologies such as DRAM and NAND have been around for decades, with their original implementations able to perform only at a fraction of the level achieved by today’s latest products. But those performance gains, like most in computing, are typically evolutionary, with each generation incrementally faster and more cost effective than the one preceding it. Quantum leaps in performance often come from completely new or radically different ways of solving a particular problem. The 3D XPoint technology announced by Intel in partnership with Micron comes from the latter approach. Touted as the biggest memory breakthrough since the introduction of NAND in 1989, 3D XPoint is a new memory technology that is non-volatile like NAND memory, but is up to 1,000 times faster, with a faster speed only attainable by DRAM, and with endurance up to 1,000 times better than NAND. 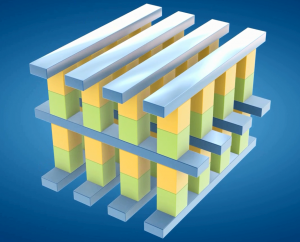 3D XPoint owes its performance attributes and namesake to a transistor-less three-dimensional circuit of columnar memory cells and selectors connected by horizontal wires. This “cross point” checkerboard structure allows memory cells to be addressed individually. This structure enables data to be written and read in smaller blocks than NAND, resulting in faster and more efficient read/write processes. Removing bottlenecks in a system is a key method to increase overall performance. 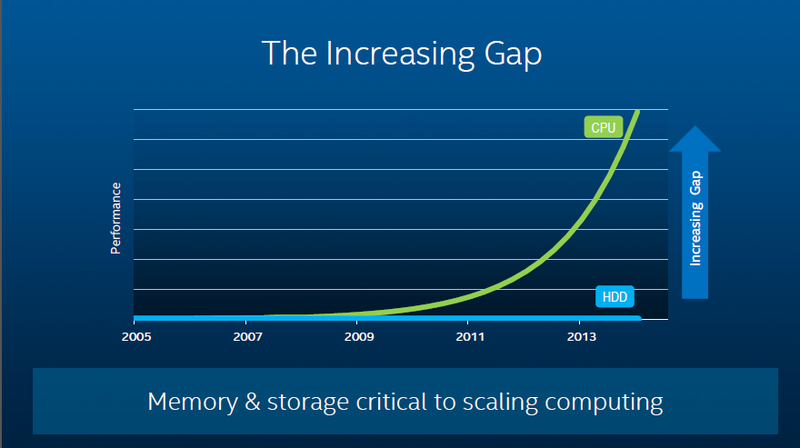 Memory in particular has been a growing barrier, primarily because consistent performance gains in processors in recent years have dramatically outpaced both the speed of hard disks and the cost and density of DRAM. 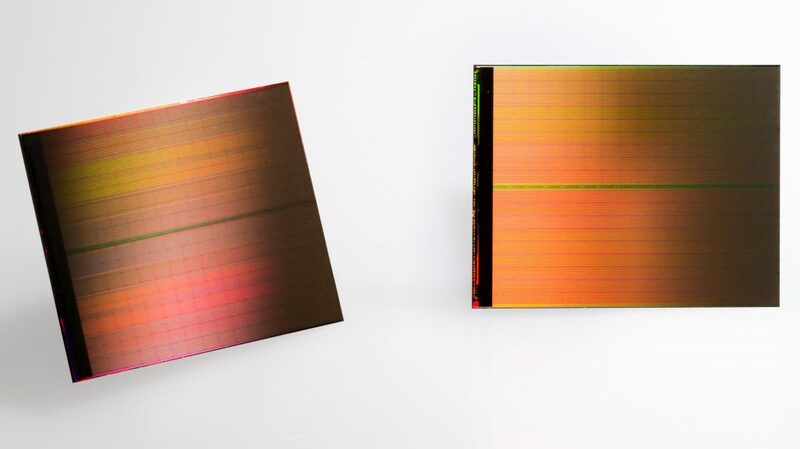 Micron and Intel have been jointly developing this technology since 2012. There was, however, basic research on various technologies at both companies for years prior to this partnership. The research team could have tried an easier route—committing to performance and density, or performance and cost, for example—but “if you want to change something, you’ve really got to go for that tougher problem and tie them all together,” Fazio explained. In 2012, Micron and Intel agreed to jointly pursue the most promising technologies from the research findings. Hundreds of Intel and Micron engineers have been involved in developing the technology to its current state, spanning facilities in California, Idaho and around the world. Over the last three years, the process development for this technology occurred in Micron’s state of the art 300mm R&D facility in Boise, Idaho. “Because it does not require the overhead of additional access or select transistors, the stackable cross point architecture enables the most aggressive physical scaling of array densities available,” DeBoer added. A technological solution that paves the way for new models of computing doesn’t come by very often. It took teams of hundreds of experts, countless flights, and constant open lines of communication and cooperation to bring make 3D XPoint technology possible.